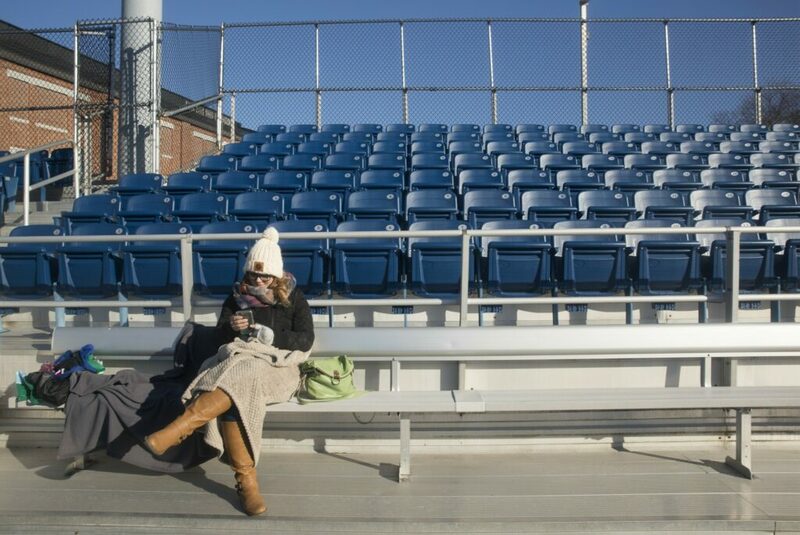 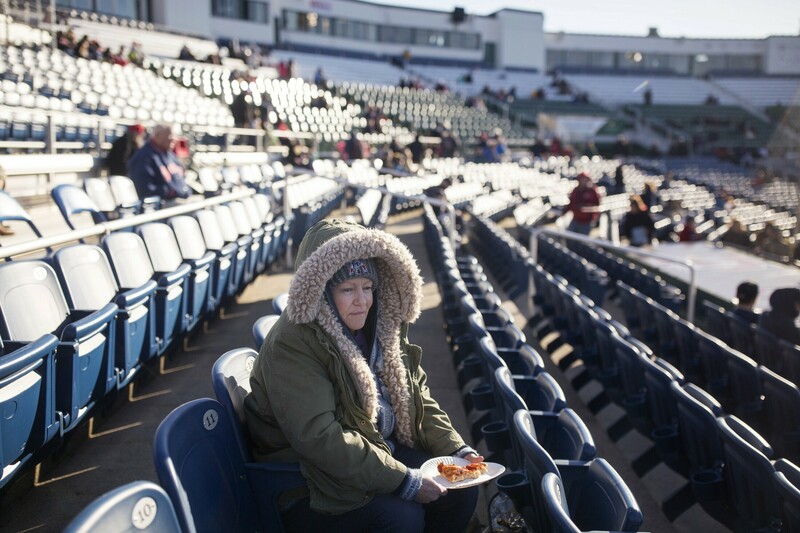 Bonnie Estabrook was ready Thursday night for the start of baseball season at Hadlock Field, all bundled up with something warm to eat.  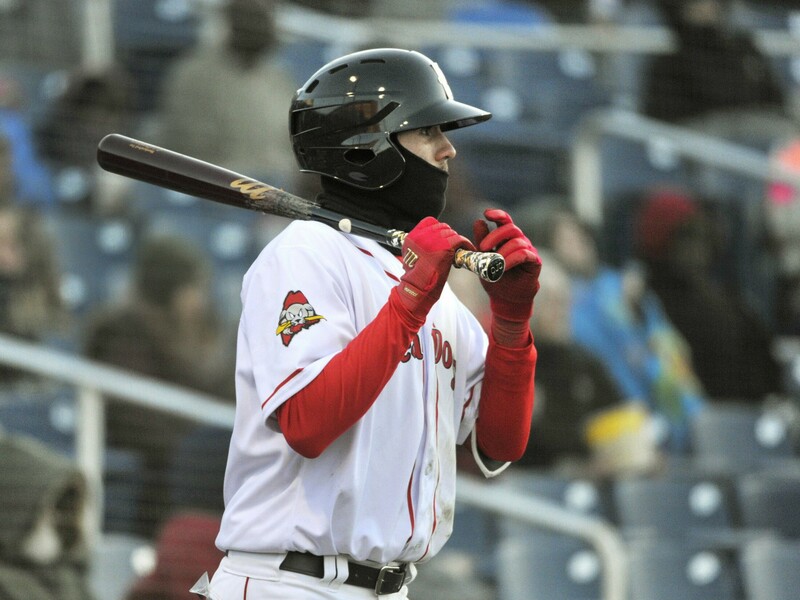 But the chill extended to the Portland Sea Dogs’ offense, which managed just two hits in a 4-0 loss to Reading. 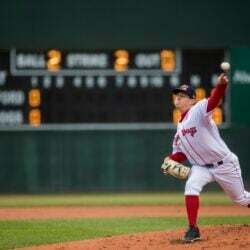 Kyle Hart got the Opening Day start for the Sea Dogs and recorded a career-high 11 strikeouts, but also was the losing pitcher in a 4-0 defeat. 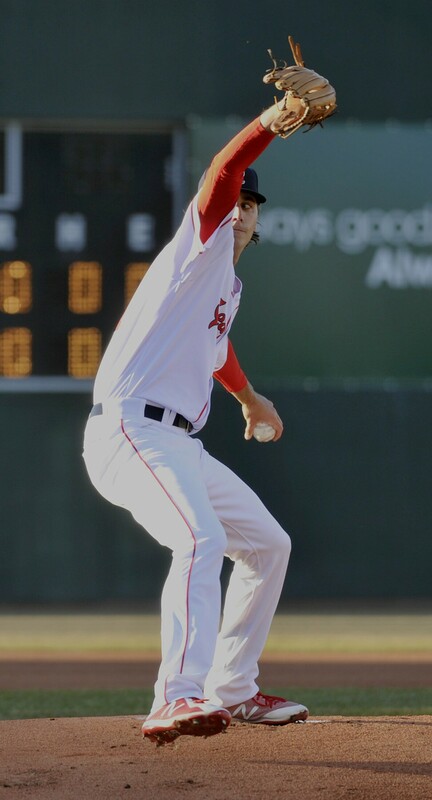 Sea Dogs shortstop C.J. 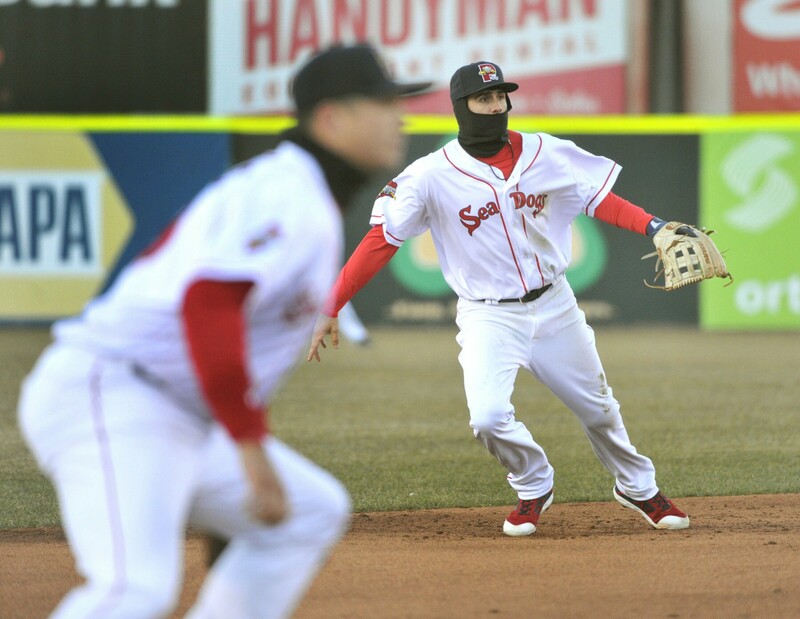 Chatham moves into the hole to field a ground ball against the Reading Fightin Phils. 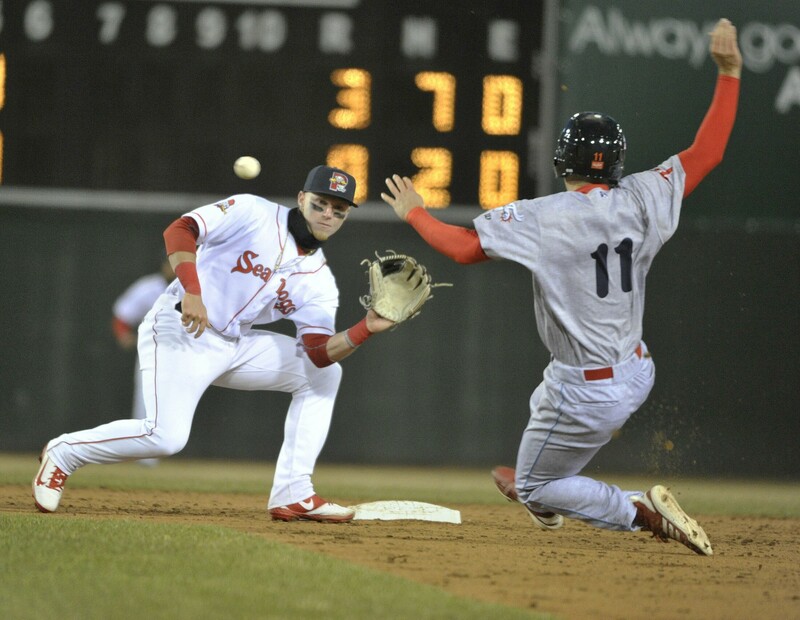 Reading's Luke Williams slides safely into second base as Sea Dogs second baseman can't handle a throw from first baseman Jantzen Witte. 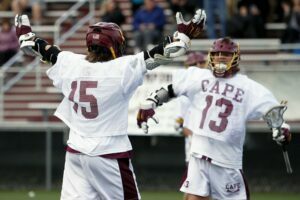 Sea Dog shortstop C.J. 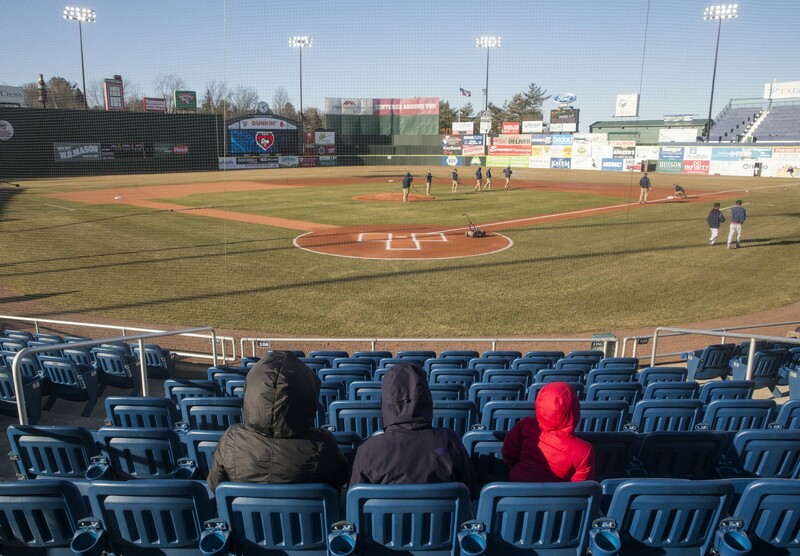 Chatham awaits his turn at the plate. 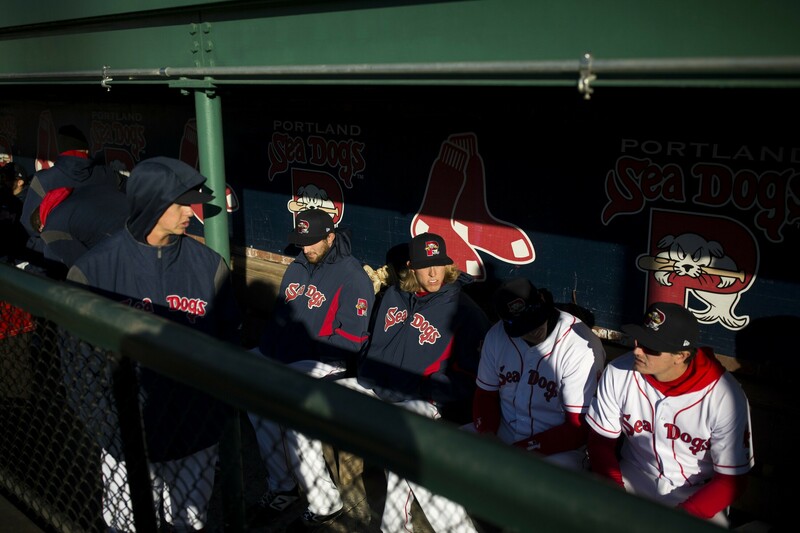 Sea Dogs bundle up for a chilly Opening Day game at Hadlock Field. Sea Dogs players relax in the dugout before Thursday's game. 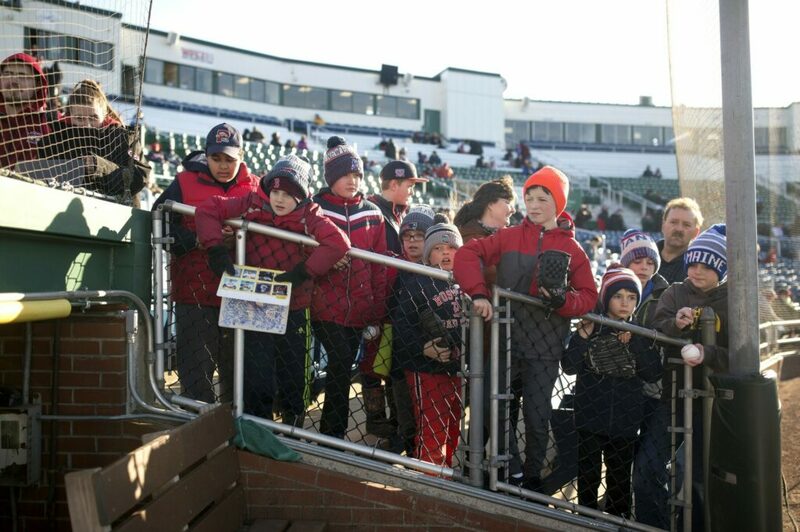 Young fans try to get the attention of Sea Dogs players in hopes of an autograph. 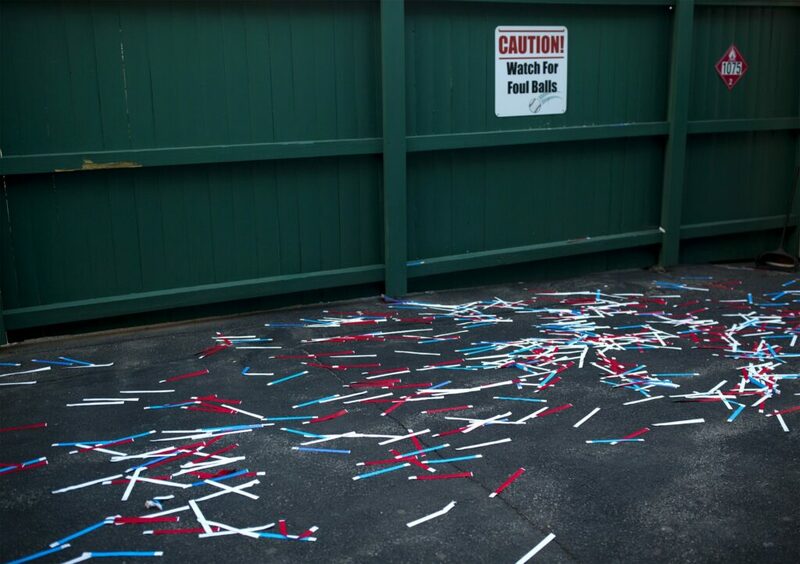 Wrist bands are strewn on the ground after getting blown around by gusting winds. 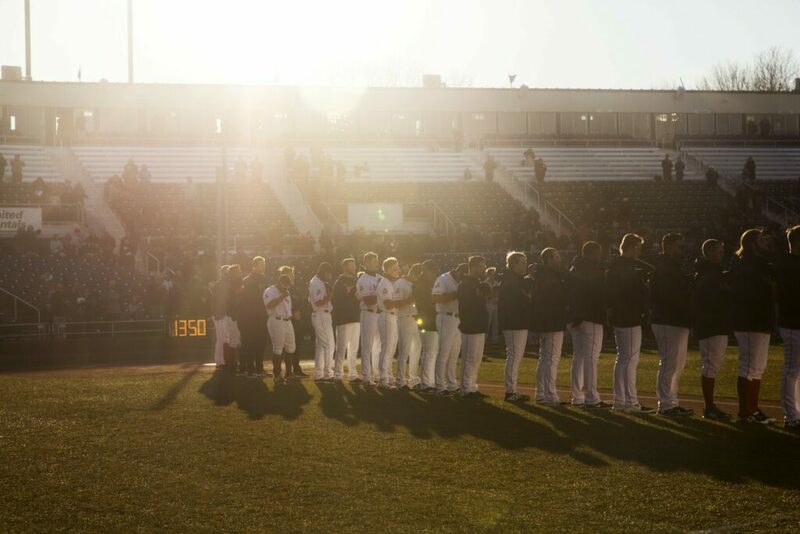 Sea Dogs players line up for the national anthem before the game. 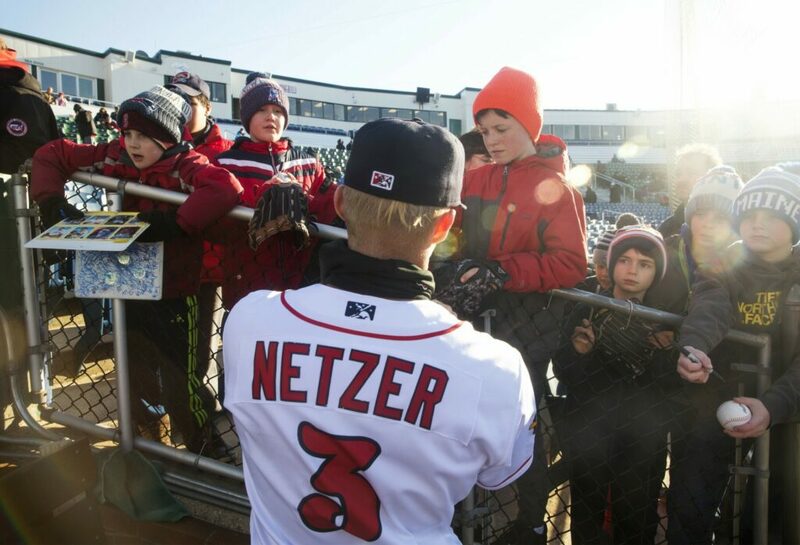 Young fans get autographs from Sea Dogs second baseman Brett Netzer. 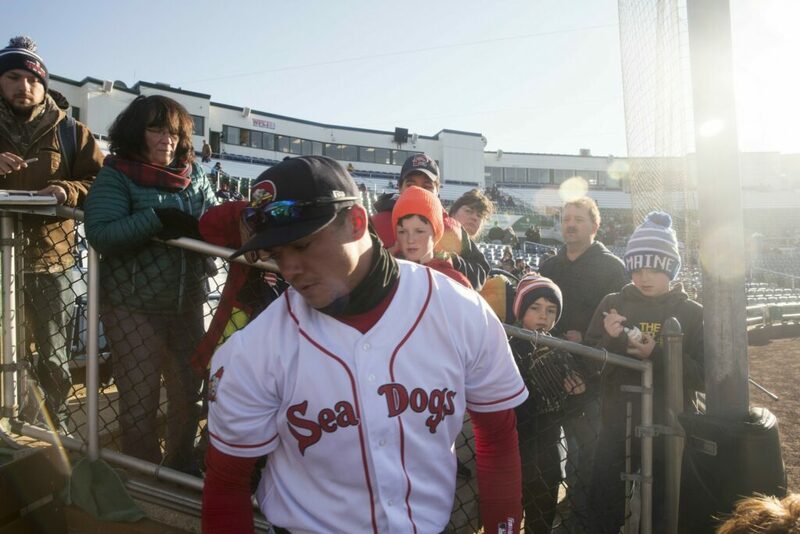 Fans watch Sea Dogs third baseman Bobby Dalbec as he heads back to the dugout after signing autographs. 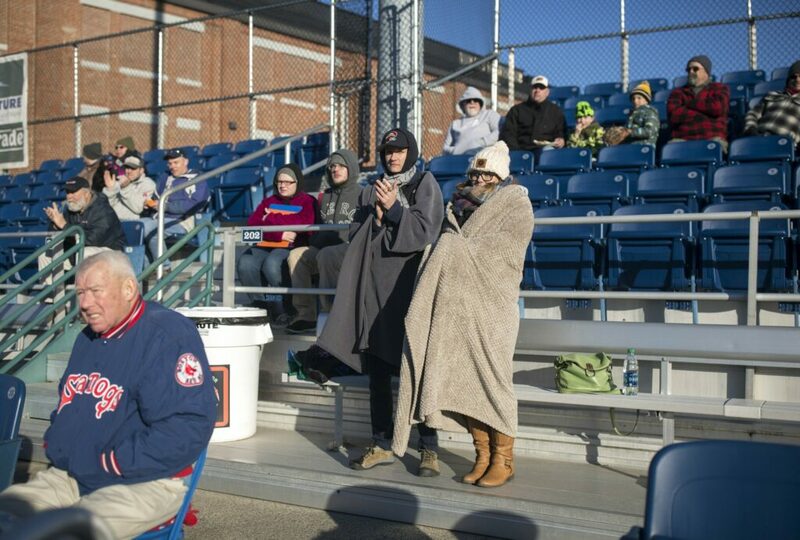 Meghann Foster was prepared for the weather, bundled up with a blanket. Melissa Hawkes, far left, with her children Matilda, 15, and Oliver, 6, see their first game ever at Hadlock Field.